Can Google help to assess the impact of heatwaves on the health of the population? New research from Public Health England and members of i-sense at UCL, published in Environmental Research, suggests that monitoring online search terms related to the health impact of heatwaves could help contribute to public health surveillance systems in the UK and have potential benefits for countries that lack established public health surveillance systems. “To the best of our knowledge, this is the first study of its kind that looks at the frequency of Google search terms indicative of heat-related morbidity and compares these to indicators from established syndromic surveillance systems on a daily basis,” says first author and Speciality Registrar in Public Health based at the Real-time Syndromic Surveillance Team in Public Health England, Dr Helen Green. Why is monitoring the health effects of heatwaves important? Heatwaves can have a significant impact on the health of a population, ranging from sunburn through to heatstroke, and in severe cases, death. In 2003, the European heatwave resulted in more than 70,000 deaths across Europe. 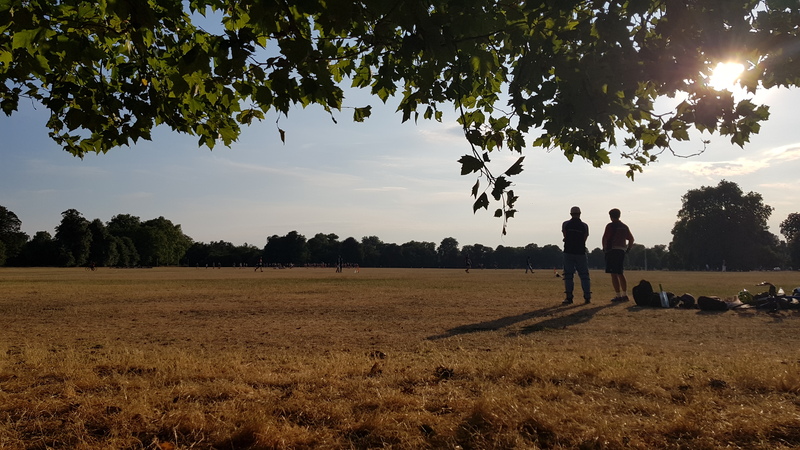 The Heatwave Plan for England was launched in 2004 and, as part of this Plan, Public Health England monitors on a daily basis heat-related morbidity across a number of surveillance systems. Heatwaves have been in the headlines across the UK, Europe and the world this summer. The Met Office has reported that the UK has experienced some of its highest temperatures on record. “Understanding the health impact of heatwaves can help support preparation for summer seasons and information from the syndromic surveillance systems can be used to facilitate an optimal public health response during the heatwave through ensuring appropriate messaging,” says Consultant in Public Health at Public Health E, Emer O’Connell. How can monitoring search terms support health systems? Syndromic surveillance is the near real-time collection, analysis, interpretation and dissemination of health-related data to provide an early warning of threats requiring public health action, or conversely provide reassurance about the absence of impact of such threats. The impact of heatwaves on the health of the population is currently captured through established real-time syndromic healthcare surveillance systems which are monitored daily in England during the summer months. “Current syndromic surveillance in England relies on the public to present to healthcare, however monitoring online user-generated content could have the potential to identify illness in individuals with symptoms, including those who do not come into contact with healthcare,” says Scientist Lead, Real-time Syndromic Surveillance Team at Public Health England, Dr Alex Elliot. During this particular study, patterns in frequency of Google search terms such as heat exhaustion, heatwave, sunburn and sunstroke were followed in England, each of which showed an increase in frequency during periods of hot weather in summer months, with the largest increase seen in 2013 and 2017, corresponding with longer heatwave periods. During 2017, the increases coincided with heatwave alerts and demonstrated a similar timeliness with syndromic data. The results show the potential benefits of using internet search data to assess the wider population health impact of exposure to heat. “Public Health England and UCL have been working closely on a number of projects within i-sense and this recent work builds on our collaborative success,” says Professor of Computer Science at UCL and i-sense Deputy Director, Professor Ingemar Cox. The elderly, children, and those with pre-existing medical conditions are more likely to be affected by heatwaves, along with those who live in hot climates, work outdoors, or are without adequate sun protection. Public Health England provide information on how to beat the heat.